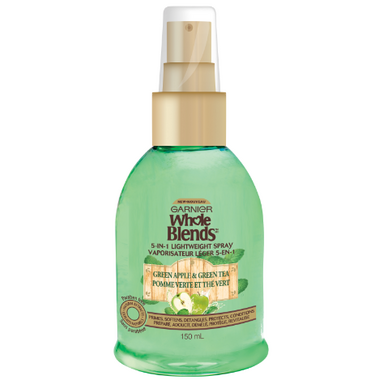 Garnier's silky-light formula blooms with a crisp, fresh fragrance of green apple & green tea. It instantly softens, detangles, protects, lightly conditions & primes hair before styling to refresh & beautify in an instant.For Normal/Dull Hair. Directions: Divide clean, damp hair into 5 cm sections & mist throughout hair prior to styling.